Today we released a new song, "The Race" by Stratos. Theme = A dungeon delve action tune. "The Race" is the second mp3 release from our instrumental fantasy catalog, Mythic Universe. This song was originally composed and used for an online book promotion but was never released. In January 2015, "The Race" was remastered and expanded upon for a promotional video for Acheson Creations' Dungeon Worlds Kickstarter campaign. More fantasy music under the Mythic Universe catalog will come periodically by Stratos and Bailey Records. 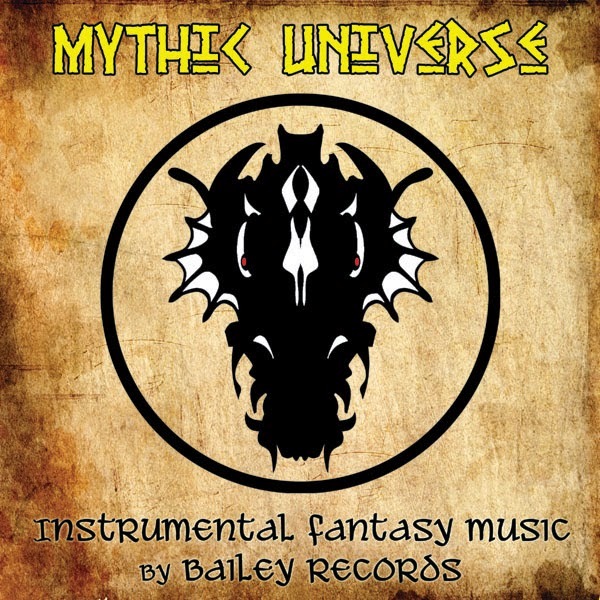 "The Race" is part of the Mythic Universe (fantasy / adventure music) catalog from Bailey Records Composition and Sound Design. Additional Mythic Universe catalog releases include The Chronicles of Ramlar - Official Soundtrack (Bailey Records, February 20, 2007) and a few singles collected and released on Odds and Ends, Rarities & Remixes (Bailey Records, May 12, 2009). "The Race" was composed and arranged by Stratos of Bailey Records Composition and Sound Design - the team that brought you the Origins Award-nominated Universe87 Campaign Setting Soundtrack (Bailey Records, July 19, 2005). "The Race" is available exclusively from DriveThruRPG. 1999-2017 Bailey Records. Picture Window theme. Theme images by fpm. Powered by Blogger.